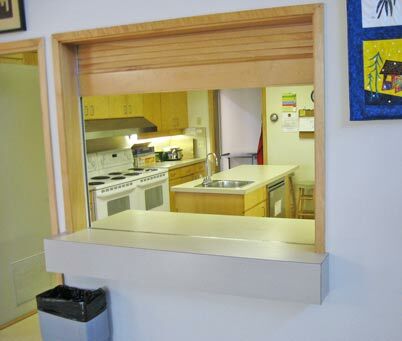 The Yellowknife Seniors Society offers rentals of the Baker Community Centre for special events year-round. There is NO SMOKING within the facility or around the building area & Avens area. Renters of the Kitchen facilities must follow Kitchen Policy, which is to return Kitchen and all equipment and utensils to original state or a cleaning charge will be levied. PARKING is available in Visitor parking area only. Use of tenant parking spacesor disabledparking spots is off-limits to renters andticketing will result from unauthorized use. A Special Occasion License must be obtained from the Liquor store if alcoholis to be served at a function. Renters must clearly indicate intention to serve alcohol, on the Application Form. Proof of Liquor License and Alcohol Liability Insurance must be shown prior to event. Please identify the date you'd like to rent the facility. Please identify who and why you'd like to rent the facility and any special requirements/requests you might have. A hearing loop in a room environment is simply a wire looped around the room with the ends of the wire attached to a special audio amplifier. The amplifier (PA system) at the Baker Community Centre is connected to various inputs such as a microphone and a CD player. The audio signal traveling through the wire loop creates an electromagnetic field around the wire. Sound from the PA system can be “heard” inside of the loop anywhere in the room with any hearing aid set to the “T” (telecoil) position, or by using a special headset available from the Executive Director. Other room sounds (such as people talking around you) are virtually eliminated due to the direct wireless connection to the audio signal carried in the loop wire from the PA system! The sound heard is tuned to your personal hearing aid. Sound clarity and speech intelligibility are greatly improved. Hearing and listening becomes more enjoyable, less tiring, less frustrating and helps you use your hearing aid for more. Ask your audiologist if your hearing aid has a "T" coil (usually a tiny switch), if you are not sure. Most new hearing aids have it included.